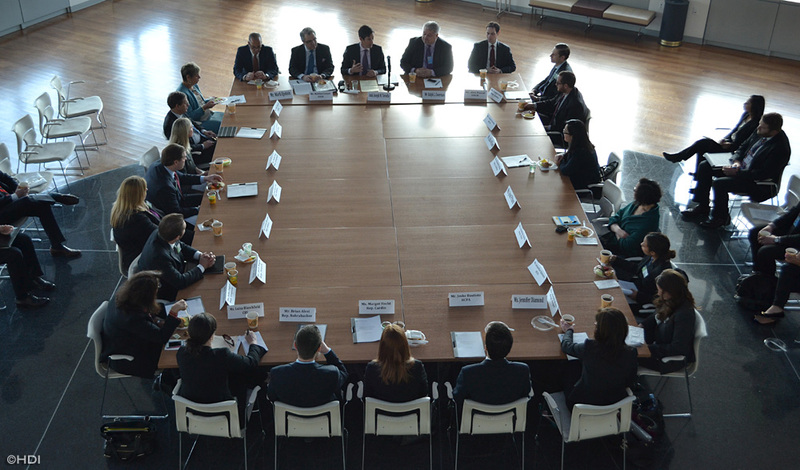 Humpty Dumpty Institute : Congressional Delegations, 44th Delegation to the U.N.
As is HDI’s custom, the first event of the day was a working breakfast hosted by the United States Mission to the United Nations U.S. Ambassador and Representative for Management and Reform to the United Nations, Joseph Torsella, discussed the importance of reform in the United Nations as well as the United Nations role in advancing U.S. foreign policy goals within the international system. 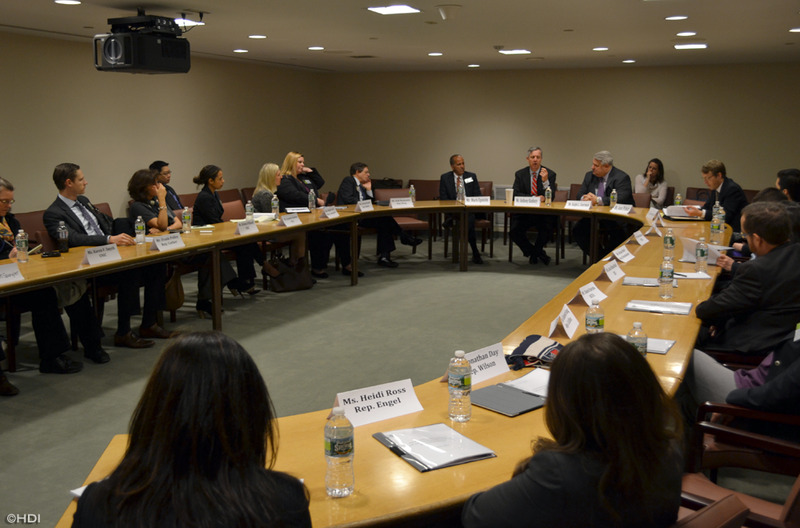 Following the breakfast briefing at the USUN, participants proceeded to the United Nations, where Mr. Anthony Banbury, Assistant Secretary-General for Field Support presented to the delegation an overview of the U.N. peacekeeping operations. Mr. Banbury explained the difficulties which the United Nations faces in its attempts to establish peace in places with deep rooted problems and little or no tradition of the rule of law. 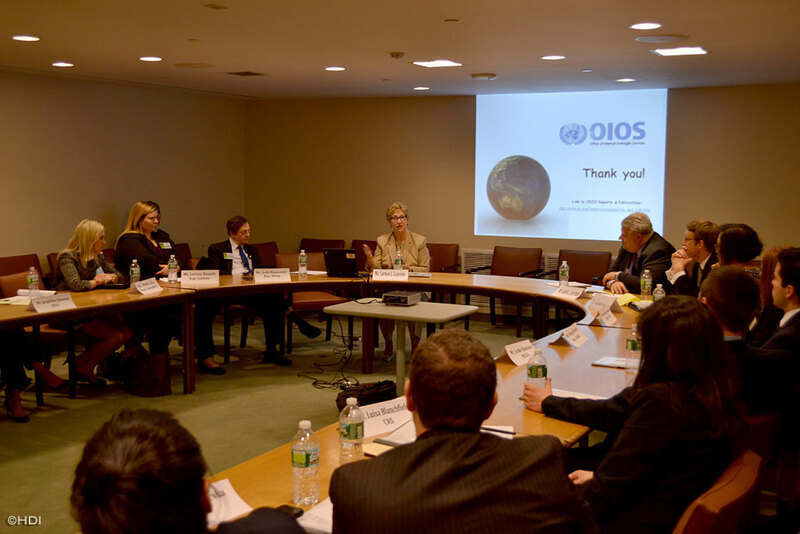 Mr. Banbury also discussed financial and logistical aspects of current peacekeeping operations on the U.N. agenda. He stressed that with a small budget and a low number of troops, it is difficult to address many ongoing issues, therefore, additional help from the member states is crucial to success of peacekeeping operations. The delegation next received a briefing from Mr. Jared Kotler, Senior Officer of Strategic Communications and Public Information at the U.N. Department of Political Affairs. Mr. Kotler informed the delegation on functions of his department and emphasized that at the heart of every problem and every issue there is a political problem that needs to be addressed. A crisis which is not managed properly has the potential to grow larger, leading into expensive peacekeeping or humanitarian operations. Mr. Kotler explained that Secretary General Ban Ki-moon’s goal is to put an increased emphasis on the use of preventive diplomacy through Political/Diplomatic channels of the United Nations. 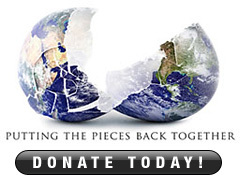 Whether it is ethnic conflict, human rights issues, questions of power sharing, disputed elections or governance issues, the solution has to be achieved through negotiations and cooperation of the parties involved. Mr. Kotler pointed out that everyone works in an environment of austerity, therefore his department is trying to do the most with what they have, and relies on voluntary donations from countries willing to support specific areas of their work. The Department of Political Affairs is constantly working to build new partnerships with various governments and organizations. Mr. Kotler highlighted the importance of the U.N. electoral assistance to nearly 50 countries annually that request help to go through disputed elections and foster the transition of power. The final speaker of the morning was the U.N. Under-Secretary-General for Internal Oversight Services Ms. Carman L. Lapointe. Ms. Lapointe explained the work of the Internal Oversight Services and dissected the structure of the OIOS, which includes Internal Audit, Investigations and Inspection/ Evaluation Divisions. The Internal Audit Division is responsible for conducting internal audits to provide assurance on risk management and governance; it includes all aspects of operations, not solely financial. The Investigations Division responds to reports of possible violations of rules or regulations, mismanagements, misconduct, waste of resources or abuse of authority. Finally, the Inspection and Evaluation Division measures whether certain programs achieve outcomes and impacts intended efficiently, while examining the adequacy and effectiveness of management of its own program results. Ms. Lapointe emphasized that her department wants to ensure a logical movement of inputs and resources to activities, outputs and outcomes for a leaner and more efficient United Nations. In conclusion, Ms. Lapointe stated that Internal Oversight Services champions transparency and accountability, and encouraged to look through their annual report, which is available to the public on their website. Following the briefing by Ms. Lapointe the delegation toured the United Nations General Assembly and the Security Council; afterwards, the participants proceeded to a working lunch with various U.N. Ambassadors and Diplomats. Amir Dossal, the founder and chairman of the Global Partnerships Forum, as well as a member of the HDI Board of Directors, addressed the delegation and introduced Ambassador Tariq Al-Ansari, Chief of Cabinet to the High Representative of the United Nations Alliance of Civilizations. Ambassador Al-Ansari discussed the mission and the agenda of the Alliance of Civilization, which was created as a response to the rising tensions and potential conflict between great Civilizations, most importantly the rising tensions between the Western and the Muslim worlds. The Alliance of Civilizations aims to facilitate cooperation and understanding between different countries and people from different cultural and religious backgrounds, seeking to deal with causes of extremism and violence which further polarize relationships between nations. Ambassdor Al-Ansari stressed that the Alliance promotes pluralism and cultural diversity, which in turn should facilitate greater cooperation between different nations and tackle issues of intolerance and misunderstandings. All HDI organized Congressional travel is approved by the Ethics Offices of the U.S. House and the U.S. Senate and follows all guidelines for travel by USG employees as prescribed by U.S. Department of State regulations.